Does your local MP support tenant services? Since July 2012 all this has happened……. What was the TAASQ program? Photo: More than 120 tenants have been evicted from public housing since 2011. Western Australia’s peak housing advocacy organisation wants the State Government to scrap its policy of evicting public housing tenants for minor disturbances. 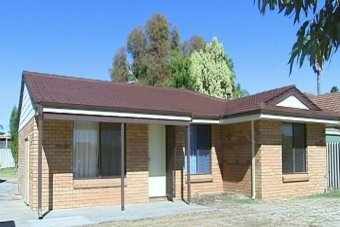 Shelter WA is urging the Housing Minister Bill Marmion to abandon the policy of evicting tenants for minor disturbances such as excessive noise, minor property damage or domestic disputes. More than 120 tenants have been evicted under the so-called ‘three-strikes’ policy since its introduction in 2011. Shelter’s executive officer Chantal Roberts says councils can resolve noise disputes, but by threatening people living in public housing with eviction, tenants are being held to an unreasonable standard. She says many of the complaints do not justify eviction. Ms Roberts says the hardline policy will just lead to more problems in public housing. “The homelessness actually leads to overcrowding usually in public housing tenancies,” she said. The Housing Minister Bill Marmion says the minor disturbances category simply defines the number of strikes required before eviction is sought through the Magistrates Court. He says the policy is consistent with the law and will not be changed and the Government won’t apologise for defending the rights of neighbours to live in safety and comfort. This entry was posted in Media coverage and tagged qldpol, savetaas by Lead Organiser. Bookmark the permalink.